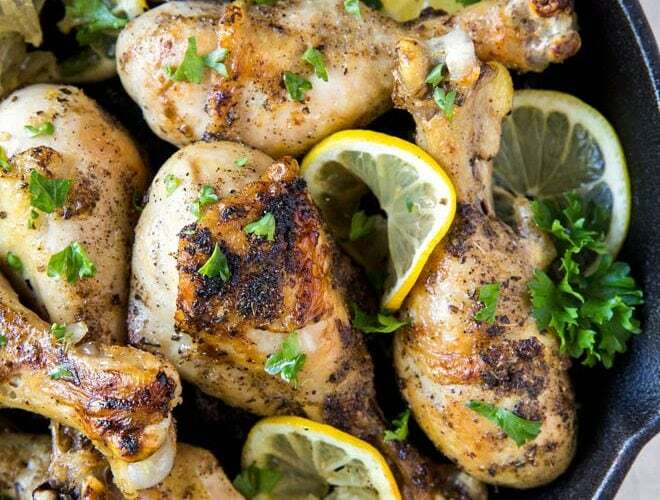 Create a flavorful meal with these Baked Lemon Pepper Chicken Drumsticks! Combine a few fresh ingredients with the chicken legs and bake in the oven in 30 minutes to create one of the best chicken drumstick recipes. No boring chicken recipe here! Chicken sometimes has a bad reputation for being too bland and too boring for weeknight dinners. 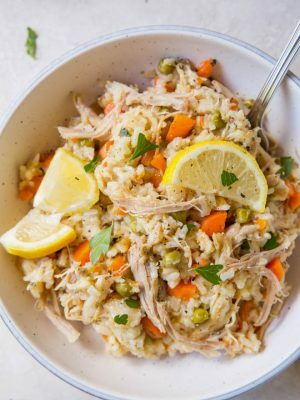 But, we love chicken because it’s versatile, easy and flavorful. Combine the right ingredients and create a flavorful dinner that the entire family will love. 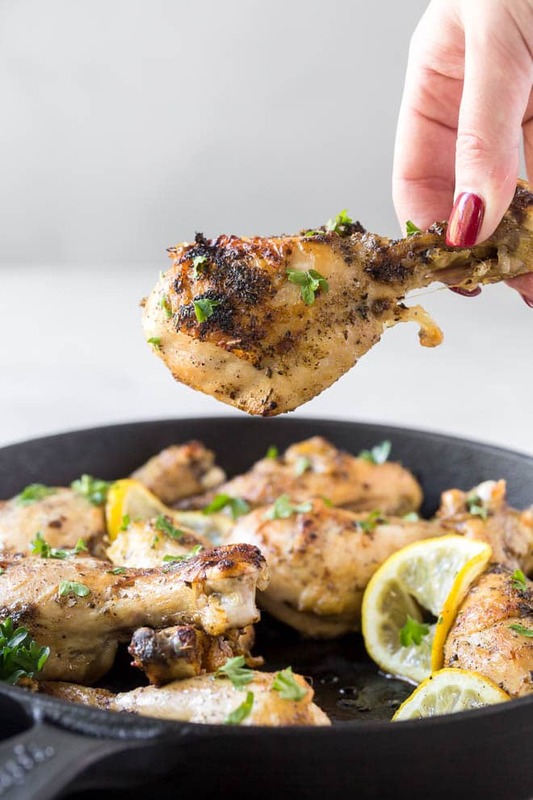 Lemon pepper is always a favorite seasoning so combine fresh lemon with ground black pepper and few additional spices to create these baked lemon pepper chicken drumsticks. 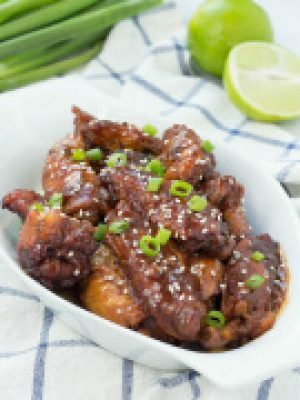 The drumsticks bake in 30 minutes and taste great with a variety of side dishes. 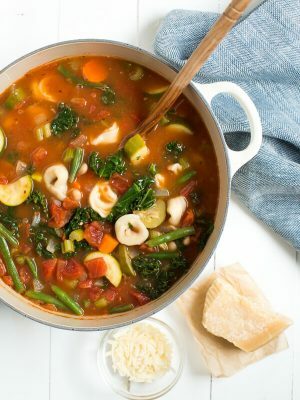 Save leftovers and reheat throughout the week! Chicken is our favorite protein to cook. It pairs well with many side dishes, is readily available and always tastes great. We often enjoy our Instant Pot Lemon Butter Garlic Chicken, Creamy Chicken Skillet with Red Pepper and Greens, or this Sheet Pan Mozzarella Stuffed Chicken for dinner. Stock your fridge and freezer with chicken, then rotate flavors and ingredients to add variety. To make lemon pepper chicken drumsticks, preheat the oven to 425 degrees F. Line a large baking sheet with foil and set aside. Pat the chicken thighs dry with paper towels and place on a baking sheet. Whisk together the olive oil, butter, lemon juice and lemon zest in a small bowl. Rub the olive oil mixture evenly over both sides of the chicken. In another small bowl, stir together the pepper, salt, garlic powder, onion powder, oregano and basil. Sprinkle spices evenly over the chicken. 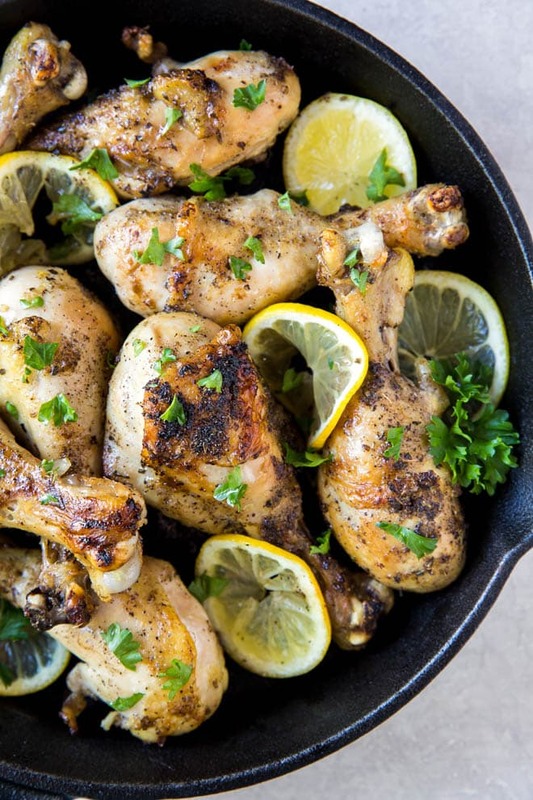 How long do you cook lemon pepper chicken legs in the oven? 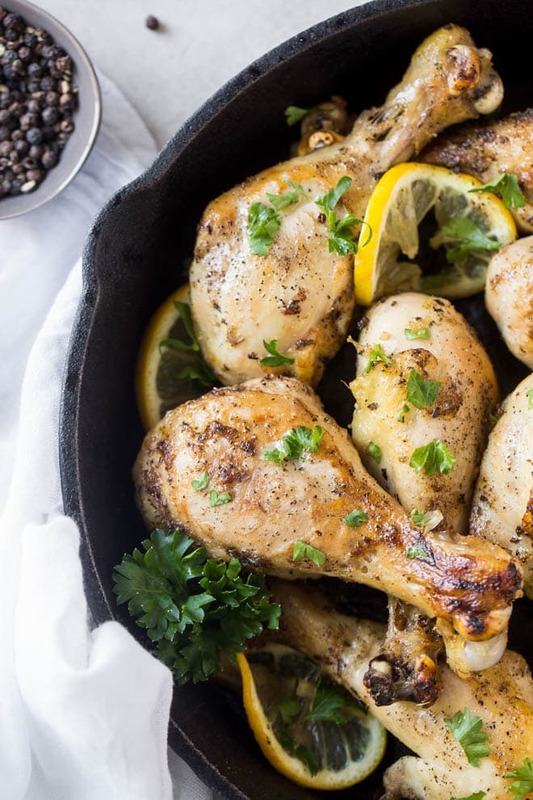 After preparing the lemon pepper chicken legs, you can place the legs in a shallow baking dish or place on a large baking sheet lined with foil. Bake at 425 degrees F for 25 minutes. Flip the drumsticks and cook for another 5 to 10 minutes, or until an internal thermometer reaches 165 degrees when checked with an instant read thermometer. 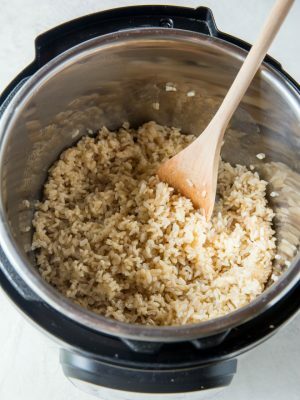 For additional crunch or texture, add 1 cup of breadcrumbs to the spice mixture and coat the chicken generously. 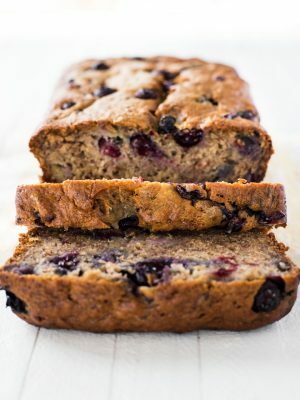 Baking at 425 degrees like this recipe calls for, you’ll only need to cook for 25 minutes. If you cook at 350 degrees, cook the chicken for 40 to 45 minutes. To make grilled chicken legs, heat a grill for 350 degrees F. Place the chicken on the grill and cook, flipping occasionally, until the internal temperature reaches 165 degrees when checked with an instant read thermometer. 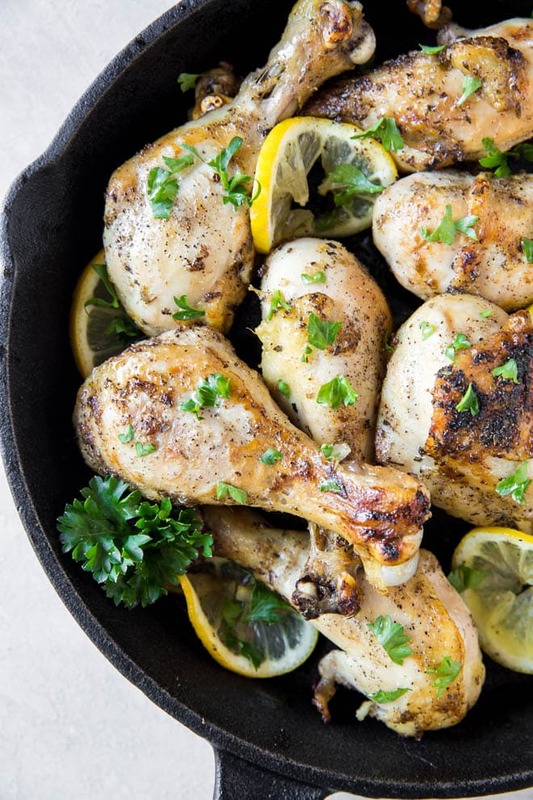 What goes good with baked lemon pepper chicken? 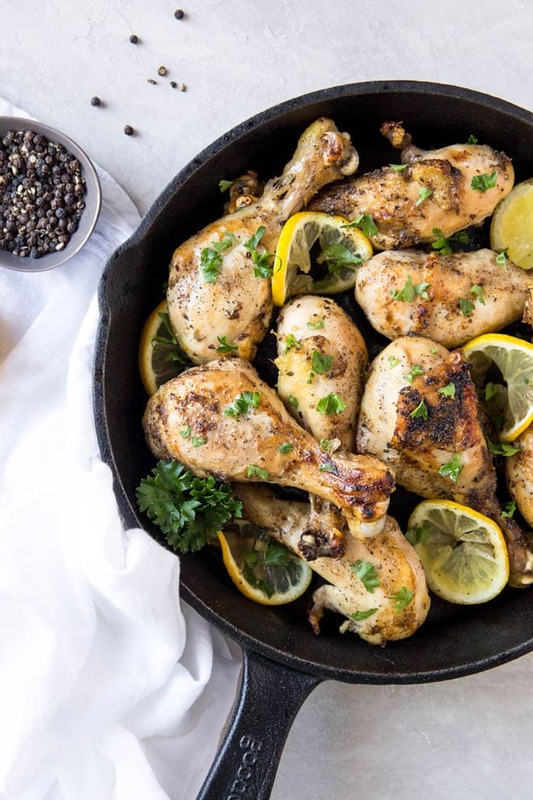 Simple sides are the best to serve with baked lemon pepper chicken. A few of our favorite side dish recipes are below. Garlic Green Beans are sautéed on the stove in 20 minutes! Roasted Broccoli and Cauliflower with Lemon and Garlic is a simple sheet pan recipe. You can even combine these two recipes and cook the vegetables on the sheet pan with the chicken. Add the vegetables during the last 25 minutes of baking. Garlic Mashed Red Potatoes with Chives is a classic side dish recipe that is perfect for the entire family. Honey Roasted Carrots with Goat Cheese and Lime is a fresh and flavorful side dish packed with vitamins. 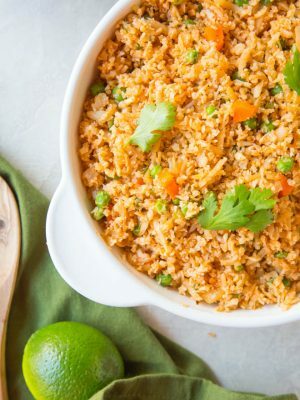 Do you love easy weeknight meals? 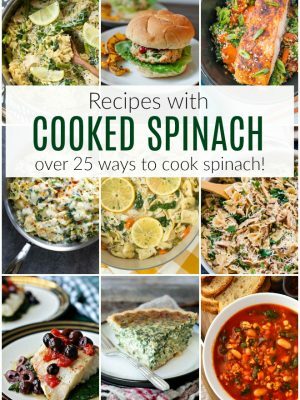 Sign up for our newsletter to receive free printable clean eating weekly meal plans with full recipe details, shopping list and more. 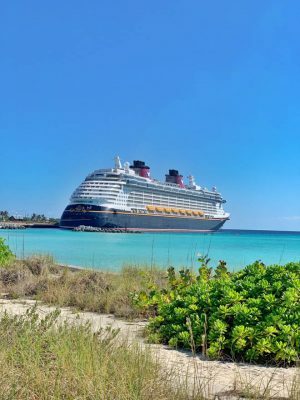 Click here to sign up for our newsletter so you don’t miss a thing! 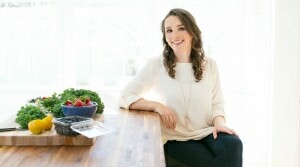 If you’re not sure about signing up, read more about our meal plans here. 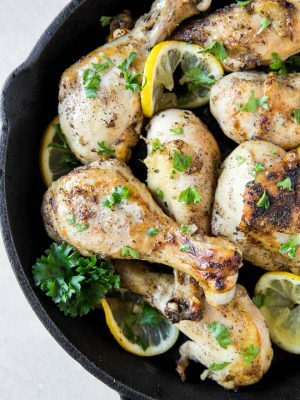 Baked Lemon Pepper Chicken Drumsticks are an easy dinner recipe that bakes in 30 minutes! Preheat the oven to 425 degrees F. Line a large baking sheet with foil and set aside. Pat the chicken thighs dry with paper towels and place on the baking sheet. Whisk together the olive oil, butter, lemon juice and lemon zest in a small bowl. Rub the olive oil mixture evenly over both sides of the chicken, rubbing to coat well. In another small bowl stir together the pepper, salt, garlic powder, oregano, basil, black pepper and onion powder. Sprinkle the spices evenly over the chicken. Arrange on the baking sheet and bake for 25 minutes. Flip and cook another 5 to 10 minutes until the internal temperature of the chicken reaches 165 degrees with an instant read thermometer. Baked the chicken legs on a high quality baking sheet. Fresh lemon juice is so much better than bottled lemon juice. Juice lemons at home with a handheld lemon juicer. In addition to a juicer, a citrus zester is a must in any kitchen. 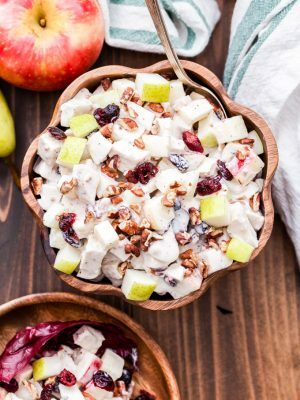 IF YOU TRY THIS RECIPE, DON’T FORGET TO LEAVE A REVIEW BELOW AND THEN SHARE A PHOTO AND TAG @SPOONFULFLAVOR ON INSTAGRAM.